I have a question in regards to Song of Solomon. As I want him to love me, do I read the male or female verses? Female verses saying how beautiful I am for him to love me or male verses where I say how gorgeous is he and I admire him? I suppose I can read how beautiful I am to his scull candle for him to love me. But what about a regular candle spell? P.S. Just came across this poem on the forum from Elizabeth Browning: "How do I love thee? Let me count the ways. I love thee to the depth and breadth and height my soul can reach, when feeling out of sight for the ends of being and idel grace. I love thee to the level of every day's most quiet need, by sun and candle light. I love thee freely as men strive for right. I love thee purely, as they turn from praise. I love thee with the passion put to use in my old griefs,and with my childhood's faith. I love thee with a love I seemed to lose with my lost saints. I love thee with the breath, smiles, tears of all my life; and, if God choose, I shall but love thee better after death." I've been lucky for him to come back to me; although he came back as a platonic friend :'( I look at him and tell him how much I love him, how handsome he is, how I want him back to make our relationships better... He is just sitting there looking at me with zero love feelings for me. Can something like this poem change his predisposition and make him love me? skyme715: That may work and there is nothing wrong with using that poem in your work, especially if it specifically spoke to you on this situation. It seems as though there may be something else going on if he is looking at you with absolutely zero loving feelings towards you. Please note, howeever, that this is not a poetry thread. It is about the Bible. DO you mind if I may ask; What was the reason for the original separation? Joseph, thank you for your reply. We had lots of arguing, unhappiness, we rarely went out to have fun, I don't like to do things he likes. I was unhappy with him and was telling him off, trying to motivate him, but that backfired. I went for a family vacation, I guess, it got quiet home, nobody was telling him what to do. He says I'm not the woman for him. Meantime, on vacation, I had time to think and decided to change my attitude upon return. Only it was too late. I have posted in another topic that I had Reconciliation, Return to me, Chuparrosa candles burned for me at MISC, and yesterday I was telling him in person how much I love him and want him, and want him back, but he just looks at me like a heartless man, and says that he doesn't feel it anymore (like we were in the beginning). He told me that I want him to move back in and try to make him fall in love with me again, but its not gonna happen. He can only be my friend. Since this thread is about Bible serses, let me recommend the well-known marriage-repair spell that employs Psalms 45 and 46. You recite them over olive oil and use it to anoint the body. A much more complete explanation of three variations of marriage repair wok with Psalms 45 and 46 can be found in the book "Hoodoo Bible Magic" by Miss Michaele and Professor Charles Porterfeld. In the same book you will find my spell using Psalms 32 to help a failing marriage by undoing your own negative contributions to the problem. Also there is "troubled marriage" spell that uses Hosea 2:18-20. And, finally, the book gives full details on Proverbs 5:18-19 and a red candle to rekindle a man's sexual passion. Wondering if anyone who knows could post the link of Ms Cats amazing article titled "7 “Deadly” Bible Psalms to Quell Your Enemies"
This would come in very handy because I have a couple local civil servant who have been very nasty to me without reason. When I reported this man he just lied and twisted the whole thing just to save himself being sacked. The other person is just a nightmare to say the least. As for Isolites question about a bad boss, I do think this would be appropriate for the situation you're describing. Intention is the key here as with all praying. As long as you're clear and concise with what you would like the outcome to look like, it's just fine. Thank you very much for your prompt reply ProphetAvery. I wish I knew about this 10 years ago but I trust it will work as everyone dealing with these service never have anything good to say about them as many have had the same sort of problems or worse. I should be moving to another town but I trust that these local gov services will get shut down due to breaching privacy laws and data protection. I will come back and post my results but I won't report them until I move because they will seek revenge and my my life difficult. Anyways I will get started on Psalm 109:8 right away! Thanks again everyone and I must say that I am so loving this thread and glad to see it active again. ConjureMan Ali wrote: I enjoy working with Psalm 3, 68 (verses 1-2), and 105 (verses 28-36) for such work. I was browsing the forum looking for some new ideas for a break up spell. As I was reading, I came across the quoted response. I looked on the site that has all the uses for each Psalms. But, neither one of the mentioned Psalms states anything about break up. They're mostly aimed at getting rid of headaches, body pain and spiritual baths. I would like to know, how does these particular Psalms pertain to break up work? Thank you! He is talking about certain verses as opposed to the entire Psalm. Thank you! I understand much better now. Hello guys, is there a psalm to get someone to contact you? I looked around and maybe I missed something, but I didn't see much on the psalm for that. I'd pray #23 because it is also for love. #28 if he is mad at you. Give Psalm 88 a go if you want someone to contact you. You can write it out and put it by your phone also, depending if the person has your number. Otherwise it will still work if you pray the Psalm 88 regardless. I am using this one again so I will let you know. p.s you may want to use some Lucky Mojo Come to Me incense. I have just read this Psalm 88. WOW! Thanks Miss Aida and MmeIntentional. I actually have used psalm 88 rather frequently, but for some strange reason I was doubting it. Not the psalm but my working with using it. I will just stick to this psalm and have more confidence when using it. Thanks again! 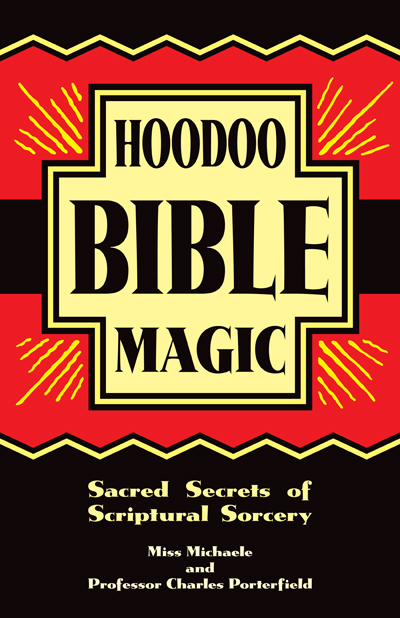 Not exactly what you asked but I seen Miss Aida Said said Miss Michelle who wrote the hoodoo bible book and its great. I have had really great success asking a question then flipping the Bible and stopping and reading a passage. I read it and if not directly clear I read the passage above and below. Then i think how it would apply in hoodoo, the results have been great. So with your question about getting a person to contact you try it out, pray asking God to reveal through his Holy word how you can accoplish this, flip through and read the passage. This sounds like you use bibliomancy to help you design spell work. Or do I mistake your meaning? I find psalm 51 very powerful for cleansing for personal experience and I'm just wondering if it could be as powerful for cleansing away resentment anger and negative emotions from someone else and to instill forgiveness? I think you could try to do that, but the text is actually about oneself ("purge me") so i think that it is a bit presumptuous to speak for them, if that is what you mean to do. I'm not good with prayers besides saying heartfelt ones. "Lord, please"..."In the name of the father, the son and the holy spirit, I ..."
Can someone suggest which prayers are good for which situations? I assume that psalm 23 can be used in basically every prayer or petition? What other prayers can be used in love? What about prayers for fidelity? "Archangel Anael, angel of the mystic planet Venus, as I light this candle, my consciousness opens to receive your divine influence and the blessing of your wisdom and loveliness. I envision you descending to meet me as I rise in thought and in spirit to reach your exalted realms. I am aware of the exquisite roselight within which you enclose me as in an aura. It is as if we come together to meet in a temple of the rose. I ask that you hear my prayer and that I may receive the benison of your assistance. Please clear the way so that the love between [your lover's name] and myself might blossom and flourish. Please help us to draw light from our hearts so that it may be perfectly expressed in body, mind, soul and spirit. Archangel Anael, you have the romantic affairs of humankind under your divine rulership, I watch this candle flame burn and behold the strength and the power of the bond of love to overcome all resentment and disharmony. I ask that you cleanse our vision of all illusion so that we may see the truth and the beauty in one another and transcend all earthly barriers and limitations. If this petition is for all good in its conception, may it succeed. I see the archangel Anael pouring out blessings upon us as if from a horn of plenty; and these blessings merge into one brilliant shaft of light, which penetrates the heart of our love so that it may be healed and be whole. Thank you!" The effect was extremely fast and he came to me less than half an hour after. Thank you Anael! I prayed Gabriel Archangel too, as he is the Messenger and rules communication and has the power to banish bad luck in love. Thanks, MmeIntentional. The design was a collaboration between me and Greywolf Townsend. I picked the colours. Grey did all of the finished art and typesetting. I love this cover too -- it ame out very well, and Grey should get a LOT of credit for that. Hello,everyone I'm Christopher,I've been studying hoodoo for a couple months and wold like to know what bible verse,prayers,scriptures and candle work can i do to cleanse me,and open the doors to awken and notice my gifts.I would like to strengthen them and become a rootworker,to better help others and bring blessings in my life.I own Hooodoo Herb and root magick book and i love it.I would love to be your apprentice one day,please Help me! If you get a chance (and wish to do so) please introduce yourself on the introduction thread. So happy that you will be joining the Lucky Mojo family. Apologies in advance if I am not allowed to post this! So I decided this morning to try some Bibliomancy , I asked God to show me an answer to my question which is " Will ____ contact me?" Because he did promise but hasn't yet delivered ! Let my right hand wither ! If I do not set Jerusalem above my highest joy ! Would this class as a good sign ? I am trying very hard to work it out. Last edited by Mama Micki on Tue Jun 02, 2015 3:39 pm, edited 1 time in total. I am not good at this (Miss Michaele and Professor Porterfield are the experts). So, I read it 3 times and I think this means "yes". Thank you very much Miss Aida. Which psalm is used for break up and/or jinxing a relationship? Here is the index for Psalms. I am going to bump this thread introducing myself. First of all I beg you pardon if I don't write properly, but English is not my first language. I discovered this fantastic forum a year ago, have employed many of the rituals published here with results, but the most interesting thing I learnt were the use of Book of Psalms. It's magical to me. I started to use psalms a year ago thanks to you all, I have learnt a lot. I usually employed the 23 psalm with interesting results, have employed others recommended here (at job) and have got results as well, for example, when a coworker started to ruin my life until I was fired. I recited many psalms and now her life has been ruined, is like karma would have done a reversal great job with that troubled girl who hated me because she was jealous, even being herself promoted by managers due to their good relationship, she stated to see me as a competence and a rival. So she made many things to blame me (like losing documents) in that way my skills were put in doubt by the boss. When I started to recite crossing psalms it seemed that she calmed down, but the worst thing came when after being communicated my contract would be renewed, I was told that the company had change opinion and my contract would expire so I would be fired. Another coworker, most friendly and nice with me, told me clearly: all the errors and mistakes I was supposed to have done were done by the other girl. That was the moment when I start to pray crossing psalms to ruin my enemy. I have become a jobless by her fault. Days later, she reincorporated from her holidays and her mind health was worse than ever. She started to loose bills, documents, invoices, very important things and she has lost credibility, everybody start to hate her and nowadays, a month later, all her coworkers have made a meeting with the boss to talk about seriously the competence of this girl. She has not been fired, it has been worse: she works almost 11 hours per day with a low salary and she finishes the shift like so exhausted that the most part of the week she's ill. Her relationship with her fiancee has been broken up and she has become the most hated person at the office. She spends all the time crying, with anxiety and everyday she has heated confrontation with bosses; the office has become a battlefield for her and is like if she was a slave. Didn't she want to have the office for herself? Well, she spends 12 hours a day inside there, and like if she was aprisioned. From been adored to been hated and looked down by others. One thing: she can't stop talking about the wonderful coworker I was and she seems to be truly regreted for all the things she did. I used the "7 deadly psalms to quell an enemy" by Catherine Yronwode, with extraordinary results. Have you employed the prayer of a psalm to buy or get a house? Is there any psalm to buy or get a house? Thanks everybody in this forum for have shared such an amazing knowledge. I personally have not heard of a psalm that is specific for acquiring a house but I would imagine the 23rd psalm would be good for this! Also Psalms 61. This worked for me when I had no money etc. to find a new home etc. I did have to believe, take action doing what I could to find a new home and let it go. As before I was in a state of panic. I done this twice and it worked out for me. I got even better than what I had asked for. I am also looking for a new home in another town so. I am grateful that you reminded me about this. Read the 61 Pslams as well as 23 and let us know how you get on. I usually apply the psalm 23 for all kind of purpose, generally with quick results. But as there are psalm for specific purposes, I was wondering if there was one for getting a house. It is awesome that you got such quick results when you recited the psalm 61. Did you asked for a specific house or just let the Universe made its job? Speaking about job, have heard about psalm 4, it is related to "capital investors". I have things clearer now. would be good to use psalm 23 along with van van oil to clear out negativity? I am glad I found this thread. 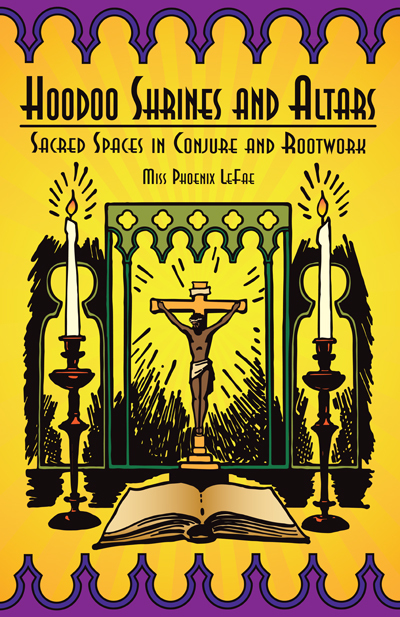 I had seen a few of Miss Cat's posts showing the Deacon's Prayer, and gave some real thought to it, especially that Hoodoo is strongly rooted in African-American Protestantism. My background is sort of both Catholic AND Protestant: I was an Episcopalian/Anglican for over 20 years, and this must be pretty hardwired for me now. If you don't know, the book of Psalms is really central to Episcopalians, and so is singing and chanting. Bearing some of Miss Cat's words in mind, I have reached back into my own tradition of singing and chanting the Psalms combined with the appropriate Hoodoo connections, and so far, in terms of grounding me, it's really working for me well. It gets me into the frame of regular intercessory prayer where it can get free form. So I guess the respect for where it comes from, and starting there, was really good advice. I wanted to ask if Hoodoo also makes use of any of the Canticles, like "my soul magnifies the Lord and my spirit rejoices in God my savior," or "I will sing to the Lord, for he is lofty and uplifted, the horse and his rider has he thrown into the sea.' I checked the page on Psalmic Magic (which I may print out for later), but I did not see those, and I thought some of those might be good. Prayers are very personal so choose the one(s) which feel most right to you and your goal. The Canticles are lovely and if they speak to you, then use them. Marking this to read again later!! So many good things here! I am curious in knowing what you guys think it' s more effective: To take time preparing for a Novena, or start it at the spur of the moment. I think it's more about the passion, heart and meaning behind the prayer that makes it powerful, whether the novena is planned out or done at the spur of the moment. I have been having a rough time this week. I won't go into the details here, but it's involved accidentally swallowing 13 Herb Bath, finding poisonous spiders in the garage, some basic medication mistakes that are not normal for me, and what I'd describe as a total emotional meltdown--a dressed letter that I sent seems to have not worked or my "target" is now involved with someone else or something. Same day. Gutted me. It's possible I misinterpreted that, and I have a reading scheduled soon and another light set for me. It does seem like a very weird set of coincidences, since I am normally a very careful person. Anyway, it's been nearly impossible for me to stay positive and keep moving, but I do so anyway, on the theory that this alone indicates faith, even when I feel despair. I've also been turning to the Bible and reading passages at random. Today I was feeling terrible, opened the book at random before I began, and what I got was Psalm 81. I looked at the page on AIRR and there wasn't much on that, so I'd like to know what Psalm 81 is for and what message if any it might be sending me. Honeybeelight. I would suggest clarity and meditation for you. Seems like you have a lot going on! Keep up the 13 herb baths and get some clarity oil to have clarity into those things that you wish to know. Take some deep breaths and calm down. All will be well. Take each day in stride giving no worries to the prior as it will only add to your frustrations. Stay positive. Read Psalms 46 1:2 and Matthew 11: 28-30. Blessings to you. Here are some other herbs to help you bring some tranquility, happiness and calm your mind. This page on AIRR lists the psalms and uses. 2. When in doubt - Psalm 23 "The lord is my shepherd I shall not want" - i.e., you have/will get what you need. 4. Too many to list - the page has over 25 instances of protection in different situations/conditions. Psalms 91 is a well-known protection Psalm. Also - see my second answer. Up until now I've been using the AIRR website for psalms, though ordered the Anna Riva book which has different wording, and a small book that soley is composed of psalms for easy access when I'm out and about which ALSO has different wording. I know it's all about translation and such, but will the psalms all still provide me with the same powers regardless of their wording?